Seattle is a major coastal seaport and the seat of King County, in the U.S. state of Washington. With 620,778 residents as of 2011, Seattle is the largest city in the Pacific Northwest region of North America and the largest city on the West Coast north of San Francisco. 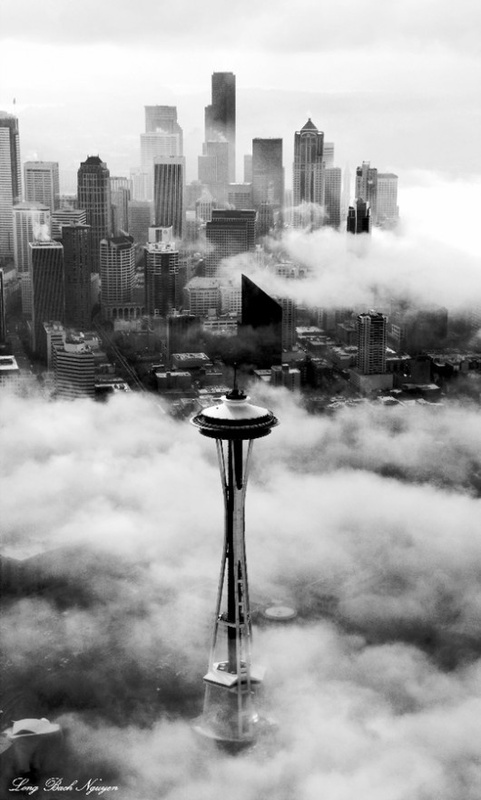 The Seattle metropolitan area of around 4 million inhabitants is the 15th largest metropolitan area in the United States. The city is situated on a narrow isthmus between Puget Sound (an inlet of the Pacific Ocean) and Lake Washington, about 100 miles (160 km) south of the Canada–United States border, but farther north than Toronto. A major gateway for trade with Asia, Seattle is the 8th largest port in the United States and 9th largest in North America in terms of container handling. The Seattle area had been inhabited by Native Americans for at least 4,000 years before the first permanent white settlers. Arthur A. Denny and his group of travelers, subsequently known as the Denny Party, arrived at Alki Point on November 13, 1851. The settlement was moved to its current site and named "Seattle" in 1853, after Chief Si'ahl of the local Duwamish and Suquamish tribes.